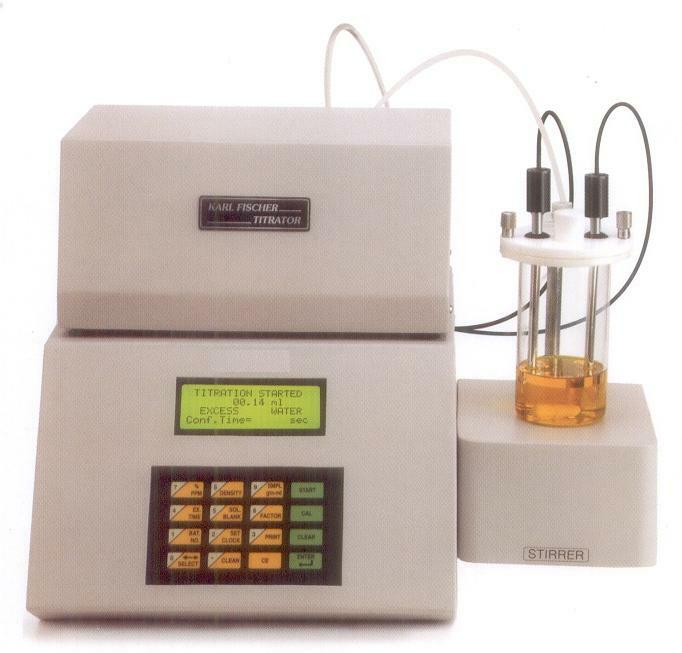 Easy to operate fully automatic Karl Fischer Titrator. Dispensing unit for uninterrupted operations. LCD display screen for user friendly operations. Result in Percentage, PPM and mg of H2O. Supports two methods for factor : Water and DST. Factor mode : Calculates the Average Factor. Range : 50 PPM to 100%. Rs 232 port to interface with the PC. Dedicated software to transfer data to the PC. Retrieval of DATA using Report and Search Facility.